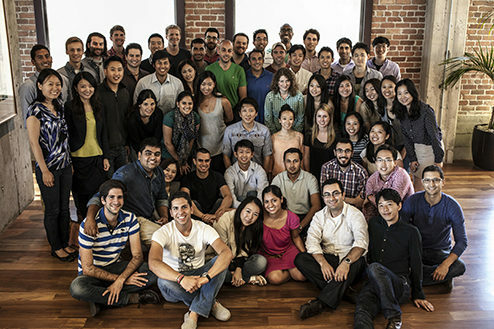 About 70 full-time MBA students make up the Semester in San Francisco cohort each Fall semester. Round 2 applications for Fall Semester 2019 will open in April! The Wharton School provides the opportunity for a select group of MBA students to spend the fall semester of their second year, or the spring semester of their first or second year taking classes in San Francisco. All classes and other activities are held at the Wharton San Francisco campus located at the Hills Brothers Plaza on the Embarcadero. The Semester in San Francisco combines classroom instruction with extracurricular activities and various kinds of engagement with the regional economy to create a cohesive educational experience. The specific course electives offered are selected through a process that begins by soliciting proposals from second year MBA students who have expressed interest in the program. The curriculum tends to be focused on entrepreneurship and technology and draws upon the people and resources of the Bay Area. For those who are not current students, but interested in opportunities to study for their MBA at Wharton San Francisco, information on the MBA for Executives is available here. Our mission is to work in partnership with students, faculty, and staff to deliver an exceptional educational experience for our students in every aspect of academic affairs between admissions and graduation.